Growing grain crops in the home garden can be a rewarding, while somewhat labor intensive, task. With the need to maximize space and crop timing, high yield harvests are especially important for growers when planting grain in small spaces. Recognizing and preventing various fungal and viral diseases which affect wheat, oat, and barley crops is an important key to success. One disease, barley stripe mosaic, can dramatically impact the overall health, vigor, and production of home-grown grain crops. What is Barley Stripe Mosaic Virus? Barley stripe mosaic virus is a seedborne condition which impacts vigor and yields of various grain plants, including barley, as well as some varieties of oats and wheat. Depending upon the virus, symptoms of the disease may vary greatly. Seeds infected with mosaic virus of barley will often appear misshapen, shriveled, or deformed. However, not all seeds may show cause for concern. 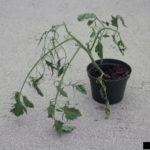 If infected seeds are planted in the garden, resulting plants may be stunted and lack sufficient growth for seed production. This will result in harvests of diminished yield and quality. Mosaic virus of barley may also be transmitted from one plant to another within the growing space. 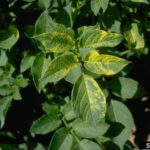 While some plants which have been infected in this manner may develop yellowing and chlorosis of the foliage in a striped pattern, less severe cases of barley stripe mosaic virus may not show any immediate sign of the disease. While there is no treatment for barley stripe mosaic virus, several measures must be taken by home growers to reduce the likelihood of introducing the infection into the garden. Most notably, gardeners should look for grain seeds that have been certified to be virus free. The purchase of virus-free seeds will ensure a healthier start to the grain growing season and reduce the presence of stunted, sickly plants. Choosing varieties which demonstrate noted resistance to the virus will also benefit as a preventative measure in the case of spread. As with many plant diseases, each season it is important to thoroughly remove any garden debris. 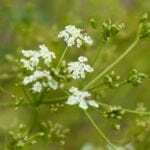 This will prevent introduction of the virus into subsequent grain crops. By removing volunteer plants and garden waste, growers are able to better maintain healthy grains crops. Read more articles about Barley.